Another Sale on TPT? No Way! Are you already back in school? Not only am I back at work, the students were also back at school today for the first day of school! I’m running around trying to unpack boxes, locating new students’ folders, and reading IEPs. It’s a busy time. Going through all this stuff, I’m realizing that I need to purge so much old stuff. I’m enjoying the thought of going shopping to refresh my stuff. 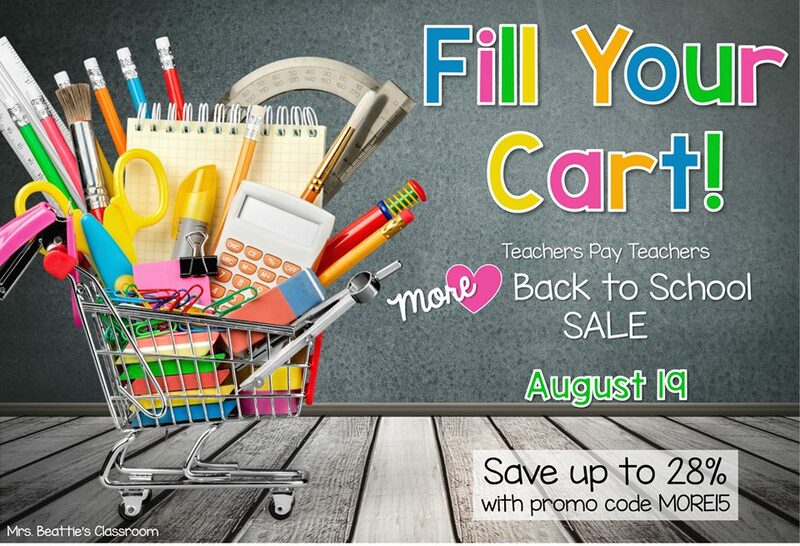 Here’s the great thing — tomorrow is a bonus sale day on TeachersPayTeachers. ONE DAY SALE! Don’t forget to use the code: MORE15 to get an extra 10% off!